“What was that?” My friend Christian stops walking and looks at me with big eyes. 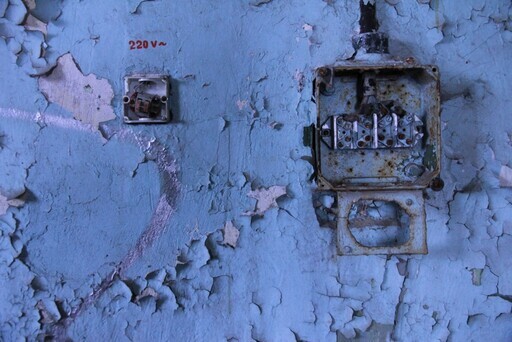 We are about 500 meters away from the entrance of the abandoned Russian panzerkaserne so there is no way back. I stop walking as well and we listen together. There is the sound again. 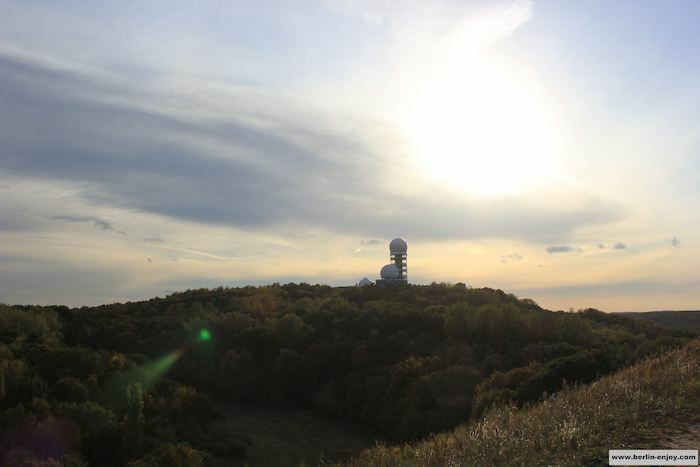 We cannot determine what it is but it seems to be quite far away. 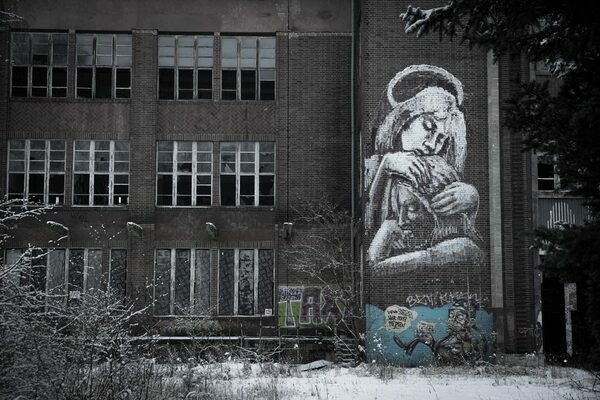 We look at each other and jump into the next smashed window of one of the abandoned building near Berlin. 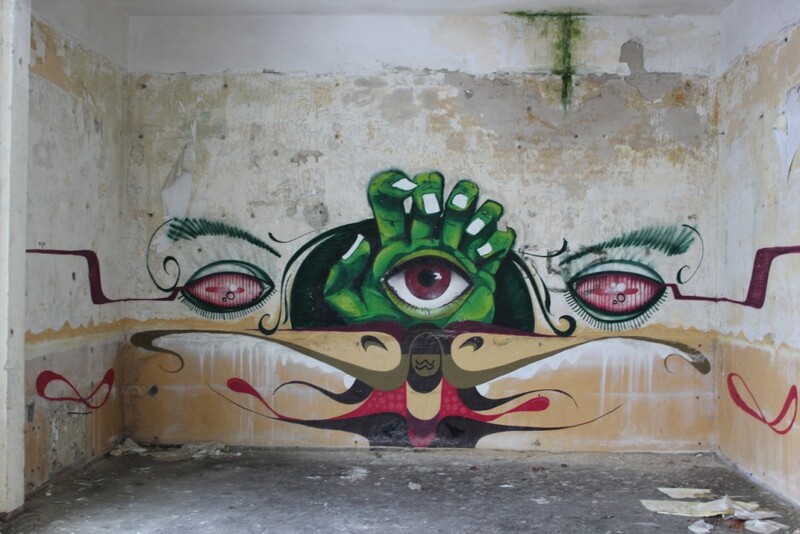 If you enjoy a bit of excitement, beautiful street-art and love to take unique pictures, visiting an abandoned building in and around Berlin could be the perfect activity for you. About two years ago the abandoned Eisfabrik in Berlin-Mitte was one of our favorite spots to chill out and have a beer on the roof. Unfortunately it is not that easy anymore to access the Eisfabrik because they have built a fence around it and there is security most of the time. 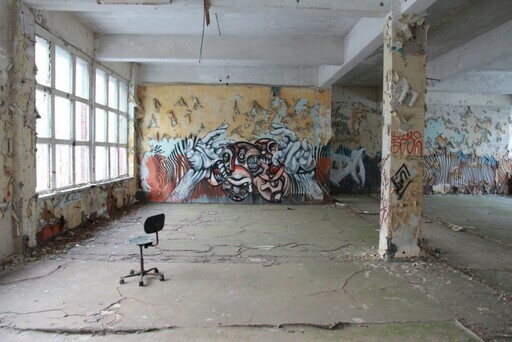 The good thing is that Berlin has plenty of abandoned buildings and places to offer. Most of them are located a bit outside Berlin, like the Russian panzerkaserne in Bernau. Bernau bei Berlin is a small town about 10km north of Berlin. In a street called the Schwanebecker Chaussee you can find the gigantic grounds of the abandoned Russian panzerkaserne. 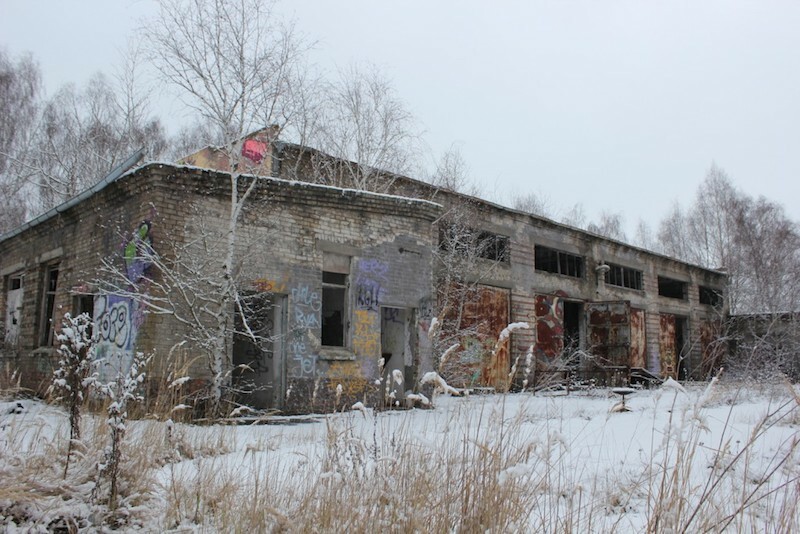 It is hard to see from the outside but the area is massive and you can find several abandoned buildings on it which have been used for a versatile range of purposes. Because both the Russian Red Army and the 90th Panzerdivision stayed here for a while you will find many Russian details in the buildings. 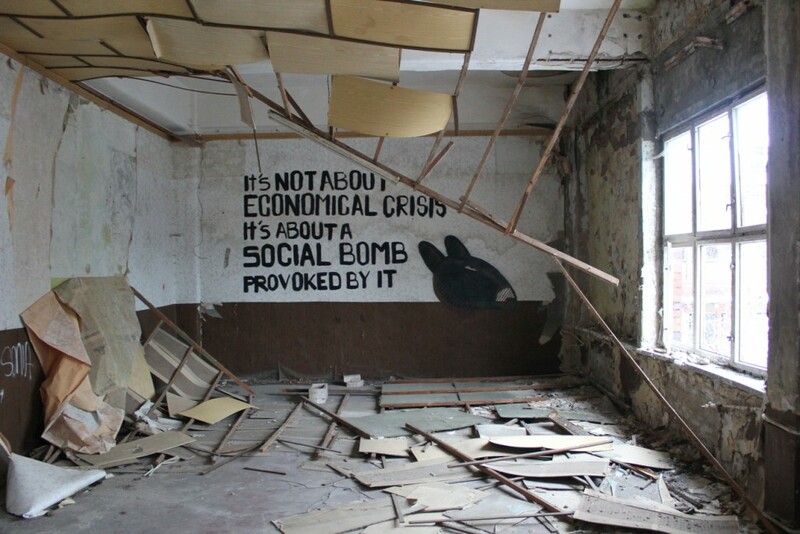 The buildings have been abandoned for more than 20 years now (since 1993) and because of that it is the perfect location to have an adventurous afternoon with a bit of history. 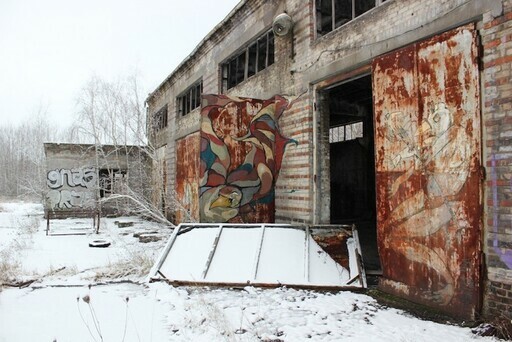 If I would have to choose the main reason why you unbedingt have to visit the Russian Panzerkaserne, it is because of the beautiful street-art you can find all over the place. As can be read above, there are many different buildings on the ground in Bernau and all of them are decorated in the most versatile ways. Many carry out a political message, others are kinda lugubrious and lucky for us many are just beautifully colorful. 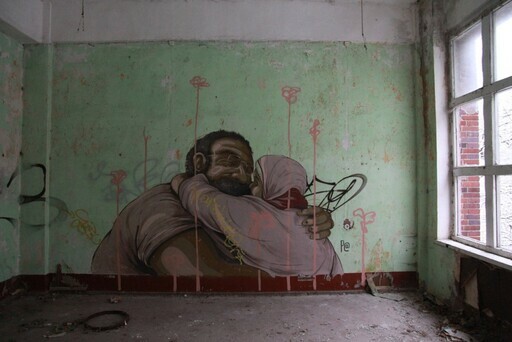 At the end of this article you can find a few examples of the street-art in these abandoned buildings. How to get there and how to get in? It is not hard at all to reach Bernau. As mentioned before the town is located about 10-15km from Berlin and the Schwanebecker Chaussee can be found in Google Maps without trouble. 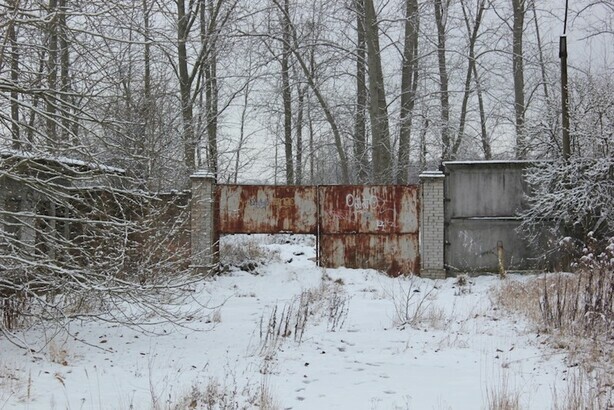 The abandoned grounds of the Russian panzerkaserne are located accross the street of a Fressnapf-branch (animal-food). When you do not have a car I would recommend taking the S2 to station Bernau and get out at station Bernau-Friedenstal. The abandoned grounds are not hard to access, you can enter through an opening in a large door which you can see on the photo below. The door can be found when you enter a small forest-path south of the grounds (after about 100 meters on your right). 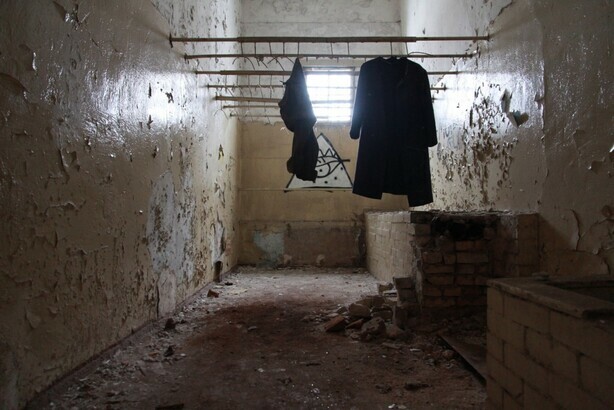 Hopefully you understand that visiting a abandoned place comes with a few risks. In general you will not be allowed to step foot on these grounds and therefore you will often find security on these properties. When we were in Bernau we did not see security until we were about to leave: Then we saw a guy with a dog and this typical yellow jacket. Funny enough he did not release his dog or made a lot of effort to get to us, so we just left the property and drove off. 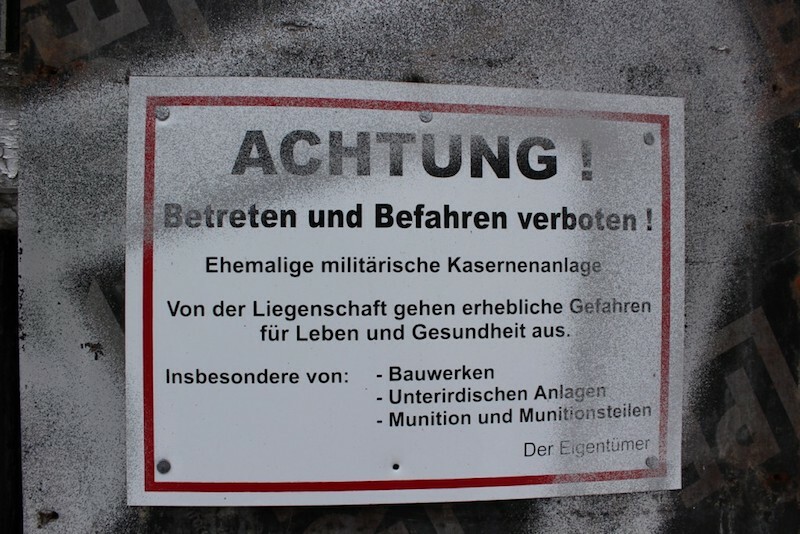 The Russian panzerkaserne is a massive area so one guy will have a hard time finding you, but still it is good to realize that you are trespassing on forbidden grounds. Altogether we have been on these abandoned grounds for about 3 hours and we have not been bothered by any homeless people, security or other suspicious people. Still you have to realize that locations like these are a very popular spot for people who do not have much to lose. 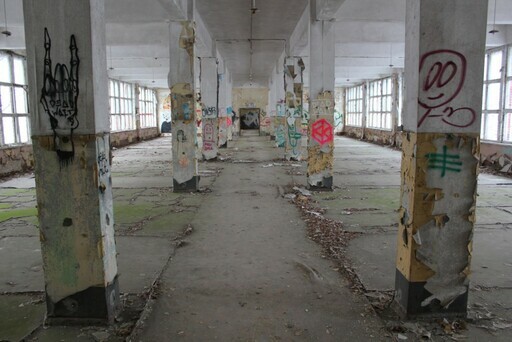 Besides that it is great that in some of the abandoned buildings you can reach the fourth floor. This means that you will have a great view but also means you better take care. Always check where you put your next step and if the floor will be able to carry you. 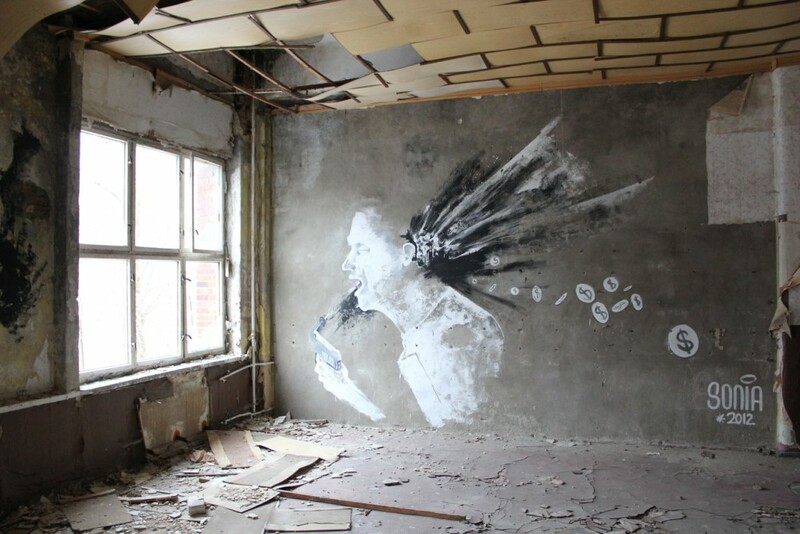 All in all these specific abandoned buildings near Berlin seemed pretty steady in most cases. When to go? Personally I would recommend visiting abandoned places during the day. The photos will look better and it is nice to see something when you enter a building in which you have never been before. Company? Obviously I would not visit one of these buildings all by yourself. You never know what can happen and you do not want to break a leg in the middle of nowhere all by yourself. What to bring? Taking my large camera was an obvious decision for me but I can also understand when people want to be more “mobile” and decide to bring there digital camera. Besides that it is important to bring solid shoes: There will be plenty of glass on the floors and you never know on which surface you will have to walk. 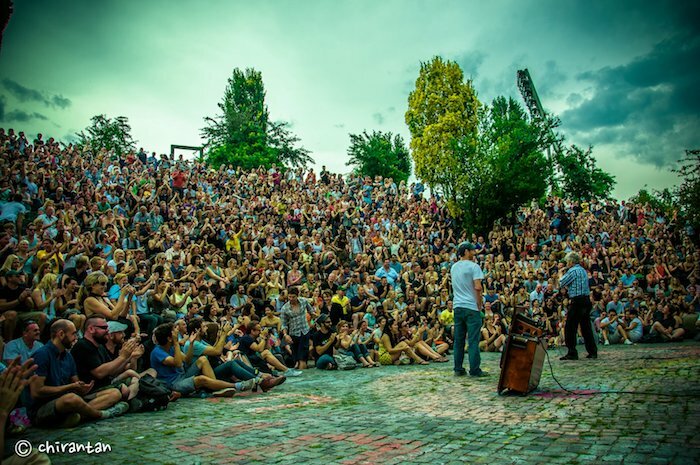 On larger grounds like the one in this article you can also bring something to eat and drink. Not sure yet? If you are not sure if this is an activity that suits you, I would recommend not to do it. 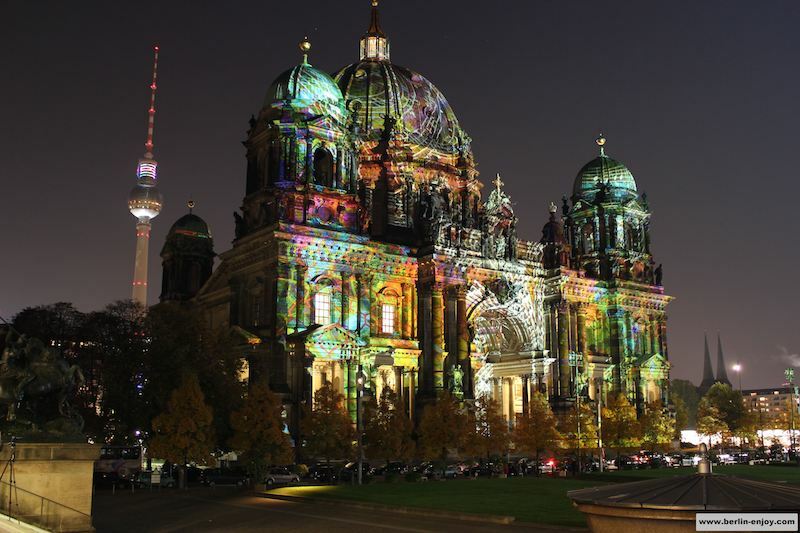 I do not want to scare anybody but there are certain risks and Berlin has so many beautiful activities which are also worth your time. Amazing post! I can also understand when people want to be more “mobile” and decide to bring their digital camera.